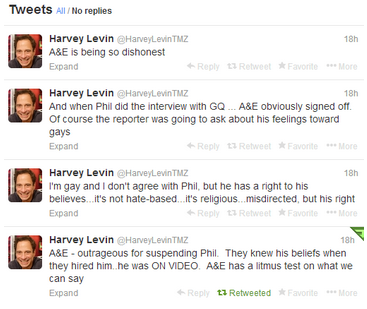 Harvey Levin, TMZ founder, is just appalled by A&E’s suspension of Duck Dynasty Phil Robertson. : He views this whole debacle as abject hypocrisy. 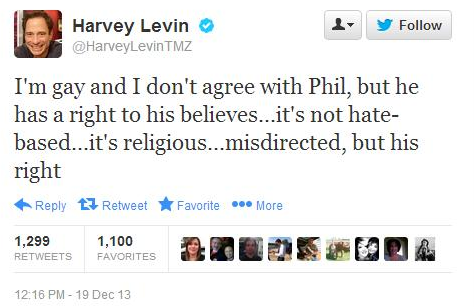 : Levin, who is gay, tweeted earlier this week that he doesn’t agree with Phil’s remarks about homosexuality, but doesn’t find them hateful. He continues his evisceration of the network. 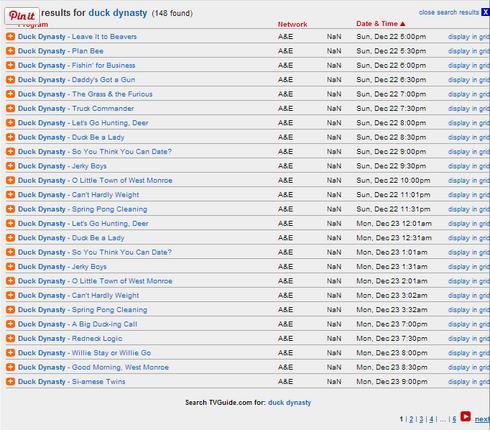 Moreover, as Greg Pollowitz at National Review noted yesterday, A&E — for all their outrage — is still airing a lot of Duck Dynasty episodes. Video has surfaced: of other controversial statements by Robertson on gays from before A&E hired him to star in: Duck Dynasty. In other words, A&E knew what they were getting. And if they knew about his past, I want: to see how: his contract was: written that allows A&E: to suspend him over Robertson basically playing himself on a “reality” show.